In commemoration of the First World Hindi Conference held on January 10th 1975 in Nagpur, India, the Indian Government has decided to celebrate January 10th every year as the World Hindi Day. This year it was marked in many countries over the world and also in Sofia. On the very day a big public meeting was organized at the Aula of the University of Sofia by the Embassy of India, the Indology Department of the University of Sofia and “Indira Gandhi” School. Ambassador of India Dinkar Khullar officially inaugurated the evening by releasing the first issue of the wall-newspaper of the Indology Department ­ an initiative of visiting professor in Hindi Dr. Anand Sharma The welcome address of the Pro-Rector Prof. Alexander Fedotov was followed by a ceremony of awarding Bulgarian students studying Hindi, who had participated in competitions in reciting poetry and writing essays in Hindi, presenting them books and DVD films in Hindi. The Indology Department and “Indira Gandhi” School received as a gift from Indian Government one set each of Hindi softwear (“Akshar XP” and “Hindi Shikshak”) as well as 40 Hindi books by renowned authors and Hindi films including the famous Indian epics Ramayana and Mahabharata on VCD|DVD. 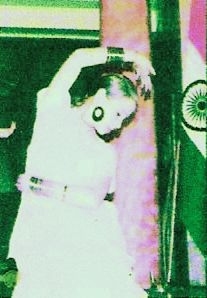 This was followed by a cultural programme of dances and poetry in which Indology students, “Indira Gandhi” school pupils and local Bulgarian “Rajunika” troup for Indian dances performed. 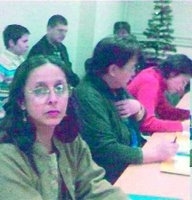 The event was attended by representatives of the Foreign Affairs Ministry, University professors and students, other scholars and writers, many “Friends of India” Club members from different cultural spheres of life, representatives of the “East-West” Indological Foundation and members of the Bulgarian “Roerich” Club. The event was covered by the press and also by two Bulgarian national TV channels.